To access your Profile click on the Settings (small wrench icon) in the top right bar menu and choose Manage Profile. If you wish, you can update your account info and even change your primary email address or account password. You can manage your saved themes on the Settings tab (also available from the main menu as Application Settings). Here you can set your default theme which will be applied on each new video. 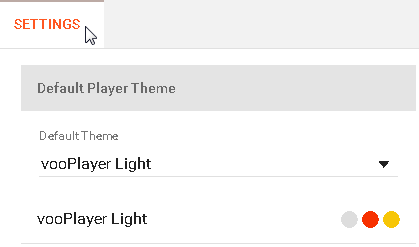 To have a list of your saved themes to manage, you will first have to create one under Player Colors & Buttons. Sharing Networks for your videos can be enabled/disabled here (just click on each one you want).